If done properly, viral video marketing can be one of the most profitable endeavors you can pursue as an online marketer, and you should full take advantage of it. Some of the top Internet marketers have stated over and over again that among the many Internet marketing techniques at their disposal, it has been video that made them the most money. Hot as it is, video marketing is still just a small portion of the online marketplace. There are reasons why many marketers continue to shy away from online video marketing. One is that most of them are afraid of the technologies involved. They assume that the necessary tools are expensive and the time needed to produce a decent online video is going to be substantial. Another reason many marketers still don’t make a foray into video marketing is that they fear that having to compose a viable script for video is too difficult. They believe it’s something only the pros can pull off. Let’s lay these fears to rest. First of all, creating a decent marketing video is simple. The tools you need to create a meaningful video — most of them — can already be found in your computer. The time it takes to create a video is also not that significant. In many cases, it takes only about an hour to produce a potentially viral video . . . maybe even less. Creating the script is also far more simple than most people think. 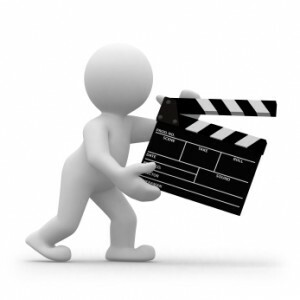 Here are some tips for creating a meaningful marketing video script. Write down all the benefits and advantages of your product that can solve your customers’ pressing problems. What does your product do? Is it going to “reduce pain” Is it going to “increase pleasure”? Create a list of all the things that your product can do for your customers. If your product offers a time-saving advantage or a more efficient way of getting work done, use that as your opening hook. The best way to figure out your product’s major benefit is to ask yourself how you could describe it in three words or less. Make your intro interesting. Don’t just baldly state what your product is all about. Hook the viewer by intriguing him or asking a question to which you can tie the major benefit. Now that you’ve perked a little interest with your opening line using your product’s major benefit, proceed in your video to a simple step-by-step presentation of how your product can help people solve their problems or increase their pleasure. The same as in most sales copy, the script for your viral video marketing campaign is going to be no different in terms of getting your audience to act. But don’t just show people how to get your product. Add a sense of urgency — the “NOW” factor. Make them feel they will regret it if they don’t act right away. There’s really no secret formula for writing a viral video marketing script that truly works. Just use the simple rules for motivating people to act, and keep it simple. For best results, keep your marketing videos short, probably under 3 minutes so as to avoid bombarding your audience with too much information that is not essential. Video marketing can be an extremely lucrative activity. If you’re not taking advantage of it for your business yet, you could be missing out on a lot of opportunities. To learn more about how to integrate video into your business, contact us for details.